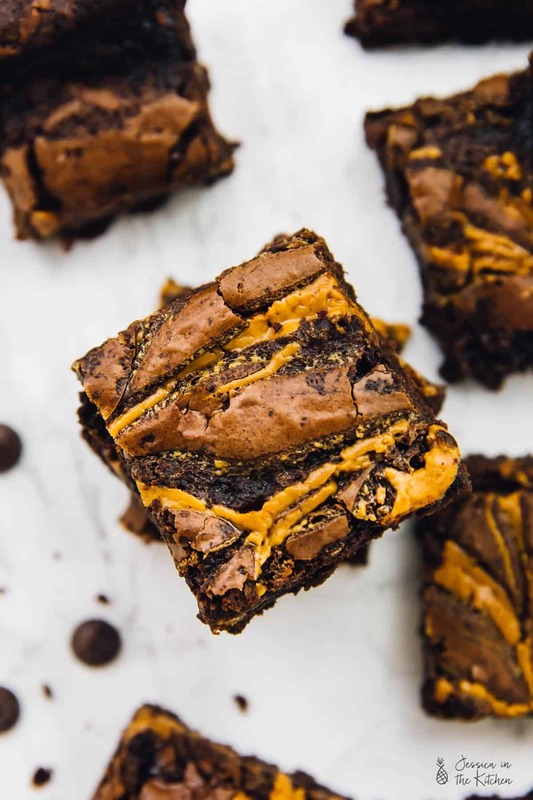 These Vegan Chocolate Peanut Butter Swirl Brownies are beyond addictive! They are chewy, fudgy, rich in chocolate and peanut butter and so easy to make! For me, the holidays are about a few things. Family, loved ones, precious memories. Christmas decorations, singing endless Christmas songs and every peppermint scented beauty product. Also? Indulgence. Let’s just be real and honest. We kind of (in moderation) have all our favourite treats and enjoy them even more this time of year. 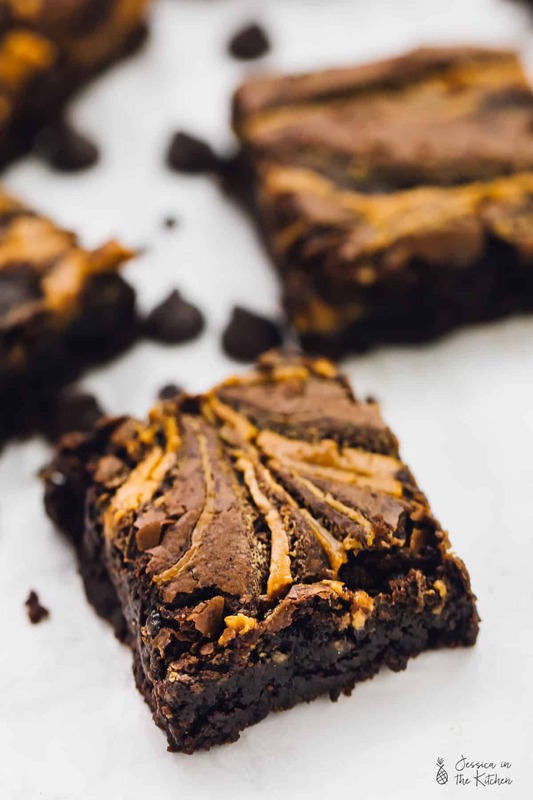 What better reason than to finally come out with peanut butter swirl brownies for you guys?! Now, this of course isn’t my first brownie hurrah. All my bios when I first joined social media used to say “brownie addict.” at the end of the description. Yup, brownies were the best mistake ever to be made. After my (non-vegan) fudgy brownies became the #2 Google Search, I made a vegan chocolate fudgy brownies which blew up on Pinterest. Since then I’ve seen SO many positive reviews that I knew I needed to test out different versions to satisfy your sweet tooth (and mine). 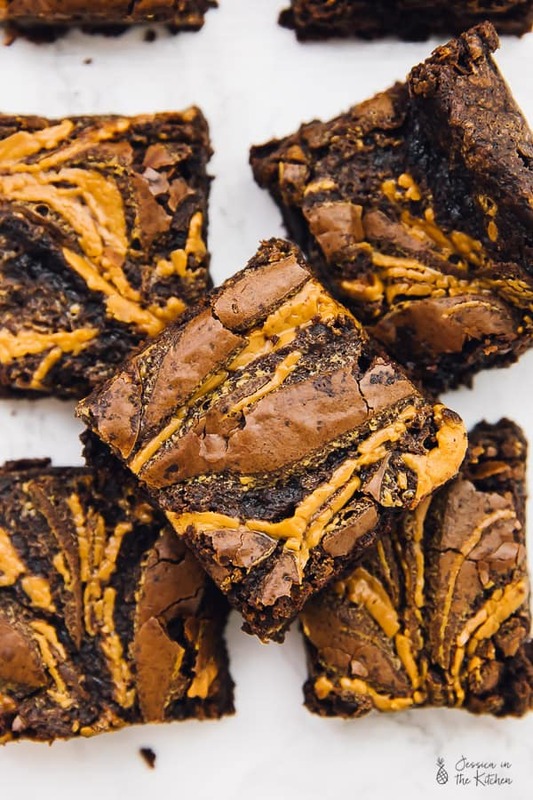 These Peanut Butter Swirl Brownies were born. These brownies are SO good that I froze them before my most recent trip so that I could run back home to them. I haven’t even shared them yet – shhhh! I promise I will. But I wanted these all to myself for just a bit. They are chewy, fudgy, chocolate-y and so divine. These brownies are made without cocoa powder, and instead are made with chocolate chips or even chocolate chunks. I usually add some extra chocolate chips in there, but left them out this time. Feel free to throw in another ½ cup to add to the fudgy-ness. I reduced the oil in these brownies slightly these since the peanut butter itself has oil. 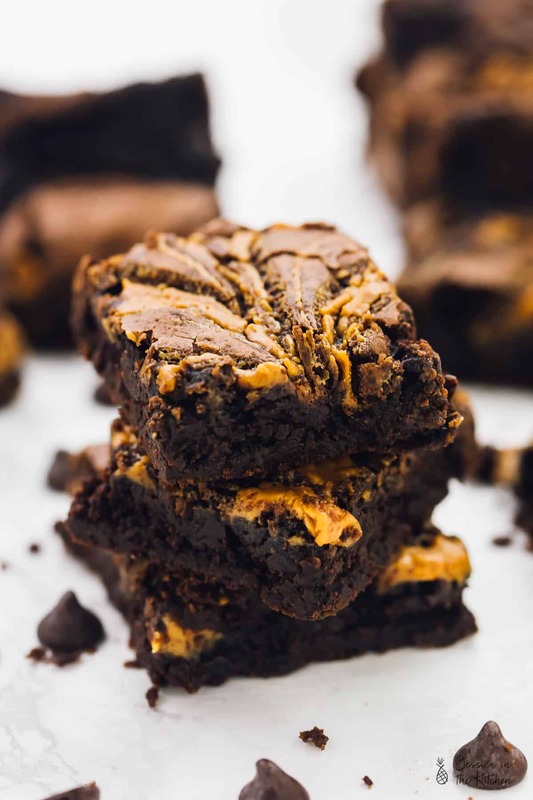 What you’re left with are rich, fudgy brownies with an irresistible peanut butter ribbon running through it that ties it all in. It adds a beautiful creaminess and slight saltiness that complements all of these other flavours. P.S. a few readers have made this recipe gluten free with much success! I would definitely recommend swapping this flour out with Bob’s Red Mill Gluten Free 1 to 1 Baking Flour. 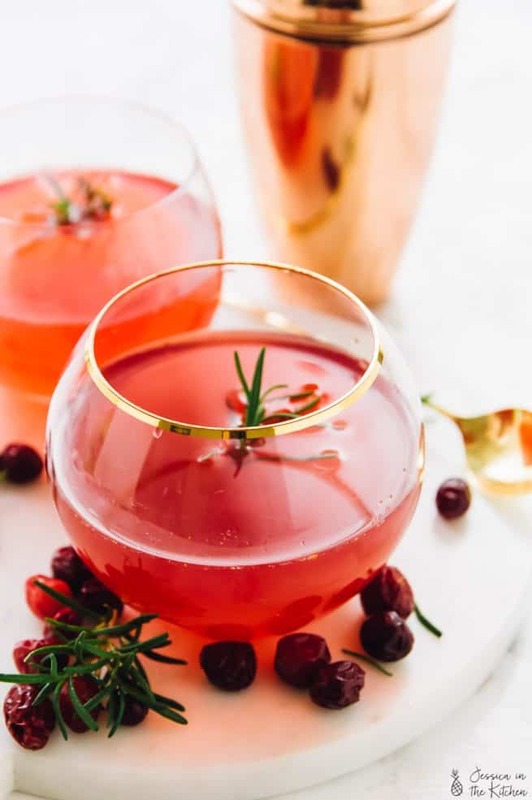 Definitely give these babies a try and enjoy the holiday season! I can’t wait to share all the other baked goodies I have for you! Preheat oven to 325°F/165°C. Grease and prepare the brownie pan and set it aside. Warm up the peanut butter for about 15 seconds until warm and extra runny. Dollop the peanut butter on top of the brownies. I like to do it in medium circles that don't touch all over the batter, then slowly using a knife, swirl left to right from top to bottom through the batter, up and down from right to left to get the swirl through the whole batter. Don't over do it or you'll just get a muddle. Bake for 40-45 minutes. The centre might still be a bit wobbly. When finished, remove from oven carefully and allow to cool completely until room temperature. Cut and enjoy!